Sentimental Sue : THE 2017 PLANNER IS HERE! THE 2017 PLANNER IS HERE! Welcome to 2017! It’s hard to believe another year has gone by, but I think I say that every year! The older I get the faster the years go by and I realize I need to enjoy every moment and every experience. The RVing Lifestyle certainly provides for many great experiences! 2016 has been an amazing ride and I am so glad I could track it all in my Planner! 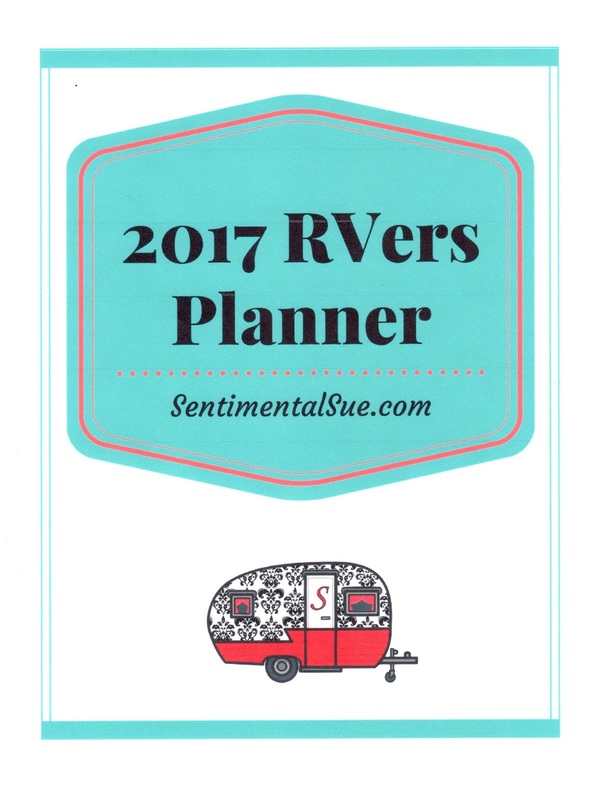 The 2017 RVers Planner is here and available to you! My main goal was to make this 2017 Planner easy to use. The last thing I want this to be is another chore to add to your list of things to do. It is fairly simple yet has all the info in one spot. 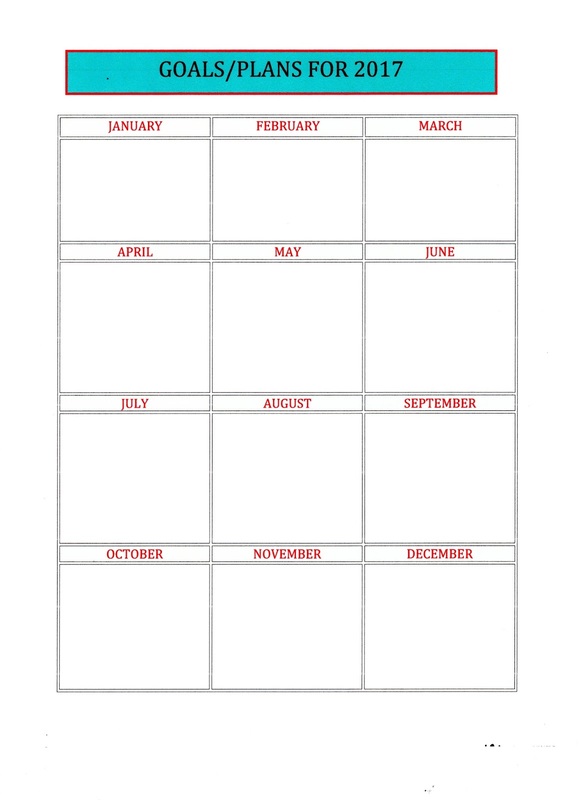 The Planner includes monthly and weekly calendars along with all my Worksheets. It will be your go-to place for everything you keep track of – appointments, work schedules, workamping jobs, travel plans, new friends, RV maintenance, health and insurance info, pet info, etc. After using this Planner myself and listening to recommendations from other users, I have tweaked and added a few new things this year. An exciting new option this year is that this Planner will be offered as a Digital Download OR a Printed Physical Product! The digital product will be available for download immediately and the physical product will be for pre-orders up until December 10th with shipping provided within 5 days. Of course the Printed Planner will cost more but it will be a very nice spiral bound book all ready for you to personalize! It is 100 pages printed in color. 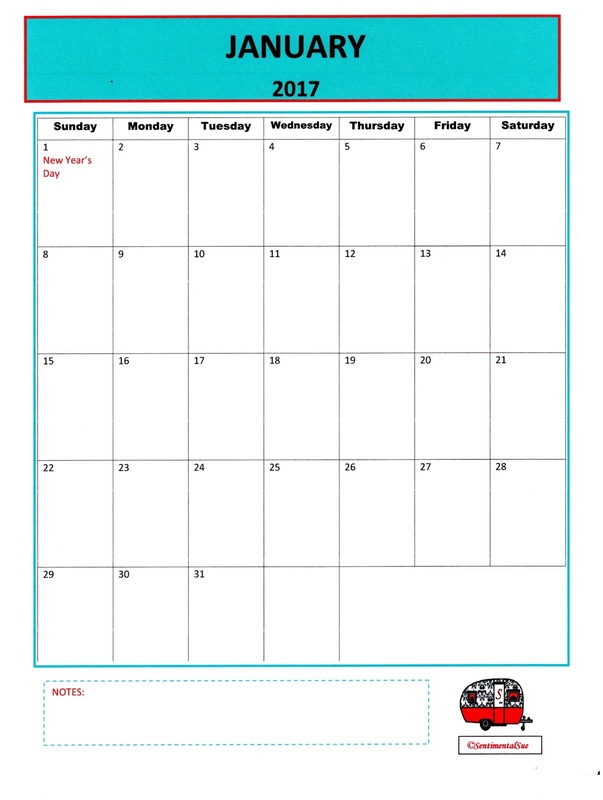 You will have all of your Calendars and Worksheets in one place so you can fill them out and have them whenever needed! NEW this year is more of a focus on tracking money and expenses. That seems to be one of the biggest challenges for many RVers – keeping track of where our money goes and how much we have left for fun stuff! 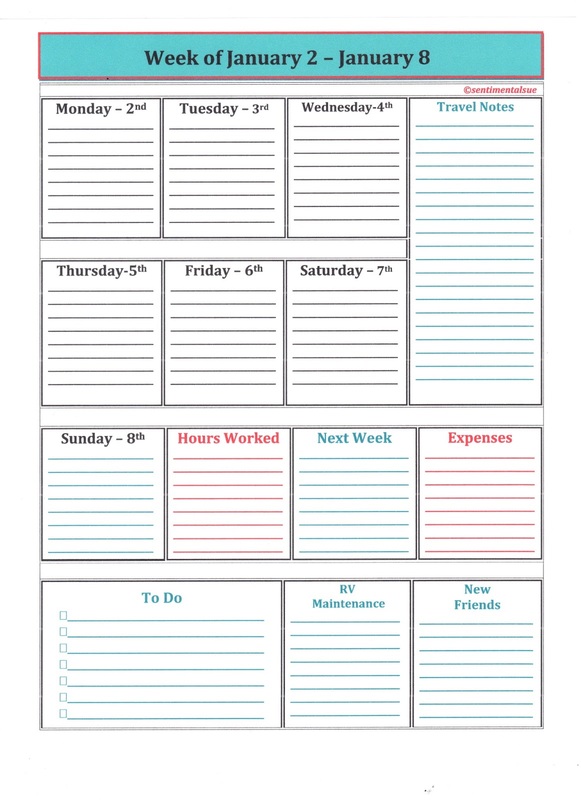 I have developed a new Expense Worksheet which will only be included in this 2017 Planner! 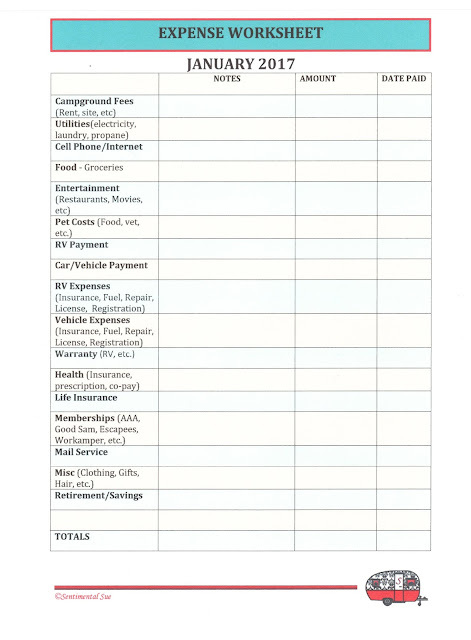 The Expense Worksheet is included for each month and lists all of your possible expenses as an RVer such as Site Rent, Utilities, RV Maintenance, Health Insurance, etc. There is also an area for Notes, Amount Paid, and the Date Paid. A final Expense Worksheet is included for the end of the year if you would like to total your expenses for the year. 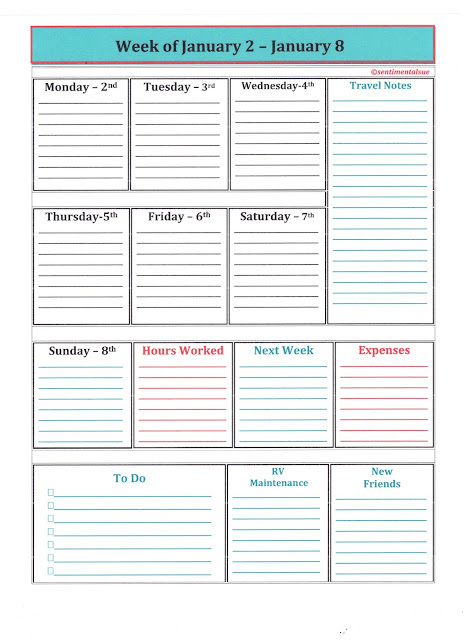 This new Expense Worksheet coordinates with the Weekly Calendar pages as I have added a block to jot down your weekly expenses. This is an informal spot that you can write down expenses as they occur and not necessarily your monthly bills, things like groceries, dinner out, etc. The blocks related to Money are in Red. The Weekly Calendar pages still include blocks for each Day of the Week, To Do List, Travel Notes, New Friends, and RV Maintenance. Along with the new Expense block is also a new block to keep track of the hours you have worked. If you are working at a workamping job, working for yourself, or even in a contract position – it is still good to know how many hours you are actually working. There are lots of variables as far as how workampers get paid so we usually like to keep our own records to compare with the employer when we receive our paychecks. Of course there is a monthly calendar page for each month that includes the major holidays. 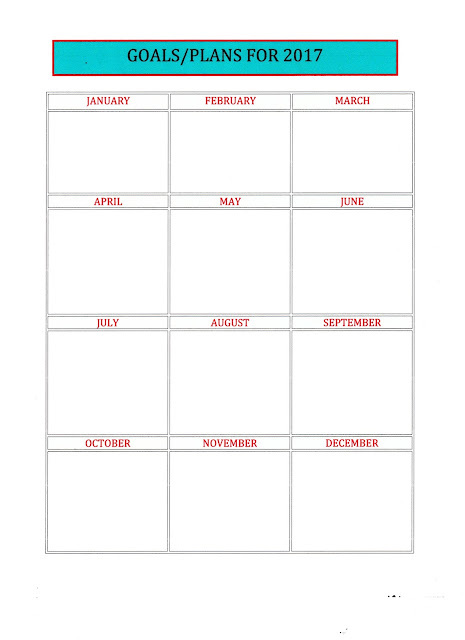 Documenting your Goals and Plans for 2017 and 2018 is included so you can plan travel, jobs, and highlights of your year ahead all on one sheet! It's 100 Pages Total! See purchase options below! Please contact me at sentimentalsue10@gmail.com if you have any questions at all! 1. Click on the BUY NOW Button and it will take you to a payment page that is totally secure. 2. Fill in your payment information. If you have a discount code you can enter it at this time. 3. You will see a page pop up that gives you a choice of downloading or opening all the pages. You may include a password to be able to view the product at any time. You will not receive a physical product. This is a digital product that you download. 4. When you open the Download Link you will be able to print off the pages as desired. You will have access to the link through the email whenever you want! 5. This is all a fairly fast transaction so that you will be filling out your new planner and calendar before you know it! 1. Click on the BUY NOW Button and it will take you to a payment page that is totally secure. The cost is $26.99 plus $3 shipping. 3. This is for a Pre-Order. Your credit card will not be charged until December 10th at which time your Planner will be mailed to you within 5 days. 4. This is all a fairly fast transaction and you should receive a confirmation e-mail regarding your purchase. This would be a great gift idea for the RVer in your life! Thank you for all your support this past year! It means the world to me! Safe travels and hope to see you on the road! Merry Christmas! Also don't forget to sign up for updates and worksheets in the upper right hand corner of the blog! I would appreciate you sharing this info with your friends! Very good idea. Nicely laid out. I still use my big old 1990's Day Planner. It's so obsolete that I have to order the format replacement packs that I prefer online. Wishing you great success in this endeavor. Thank you TL! I'm glad you found something that works for you and you can still get them! I appreciate you taking the time to look at my Planner! Safe Travels!